The Matadors returned home from their Midwest road trip and dropped both of their matches this weekend. 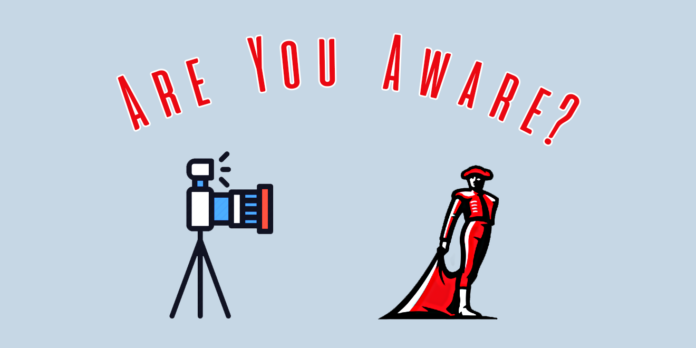 The Matadors were swept by No. 5 Loyola-Chicago Friday night at the Matadome before losing in five sets Saturday night to No. 9 Lewis University. The Matadors now have a record of 5-4 after their first two losses at home this season, bringing their current losing streak to three. The first game was a roller coaster, with 26 tie scores and eight lead changes in the first set alone. 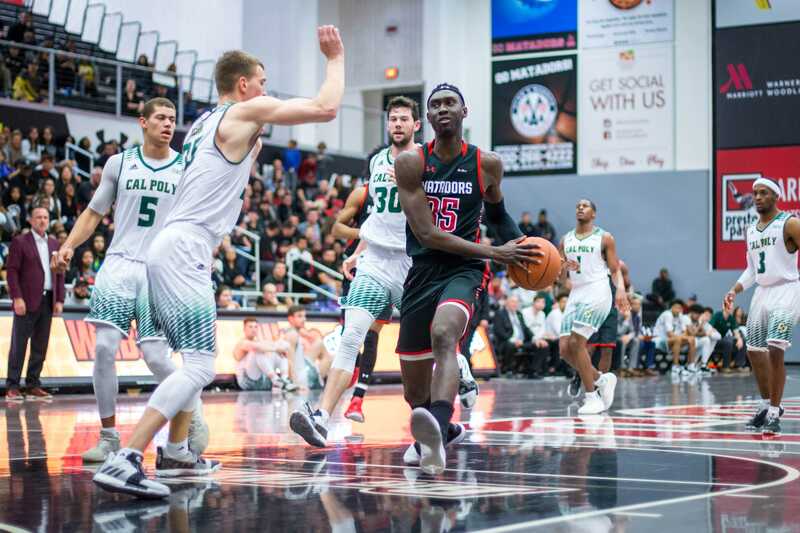 Northridge lost control throughout the rest of the match, though, as the Matadors came short against the Ramblers in a tough non-conference match-up. 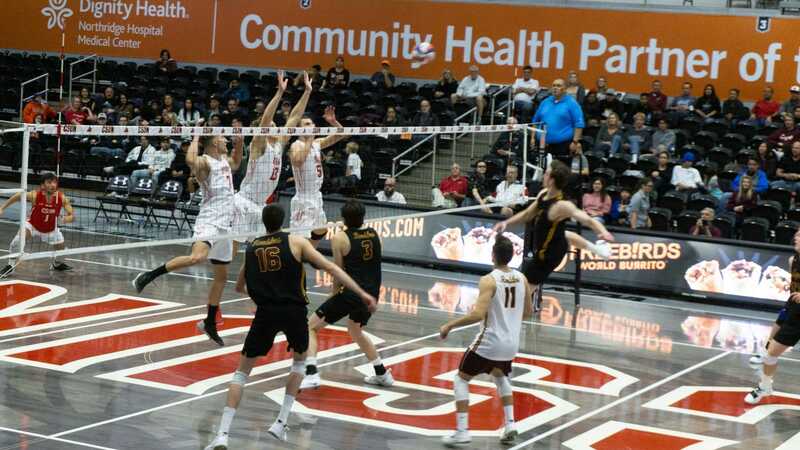 After dropping the first set, CSUN tried to take an early lead in the second set, but some extended runs by the Ramblers allowed them to close out the set and take control of the game. 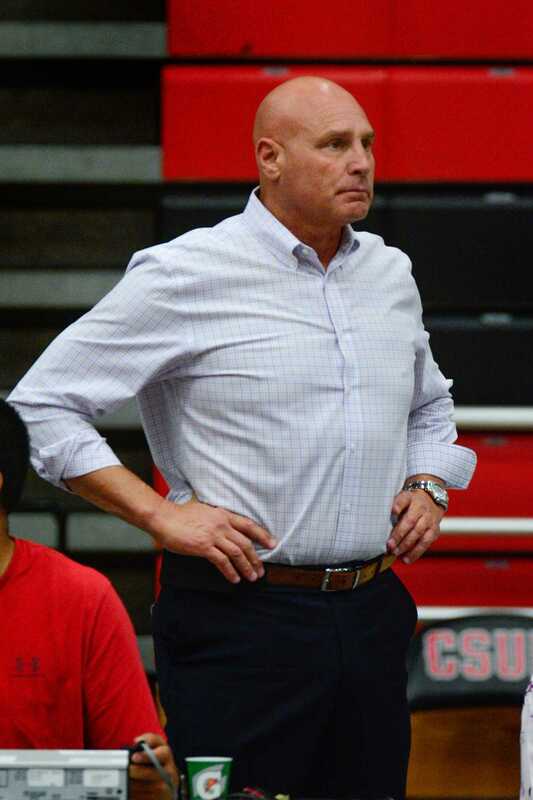 CSUN tried to build an early momentum for a comeback in the third set but could not find enough points by the end of the set, ending the match with scores of (34-32, 25-19 and 25-21). “Our energy was definitely a roller coaster in this game, we had high moments and then we would have low moments,” said freshman Daniel Wetter. Freshman Big West Player of the Week Taylor Ittner led the team with 31 assists while the rest of the team had seven. Junior Ksawery Tomsia led the team with 13 kills and senior Dimitar Kalchev helped with 12, but that was not enough to close out any sets. CSUN’s attack was at its best during the first set, but the Ramblers defense limited them to .245 on offense throughout the entire game. The Matadors’ loss to the Flyers was taken to the wire every set. With scores of (22-25, 25-23, 25-19, 21-25 and 15-12), Saturday’s game saw a few Matadors reach new heights. Tomsia had a career night with 24 kills while freshman setter Ittner posted a career-high 50 assists. Despite both players having career nights, it wasn’t enough to bring down the No. 9 Flyers. “We stuck to our game plan, but we missed on key opportunities to capitalize on big plays,” said Ittner. 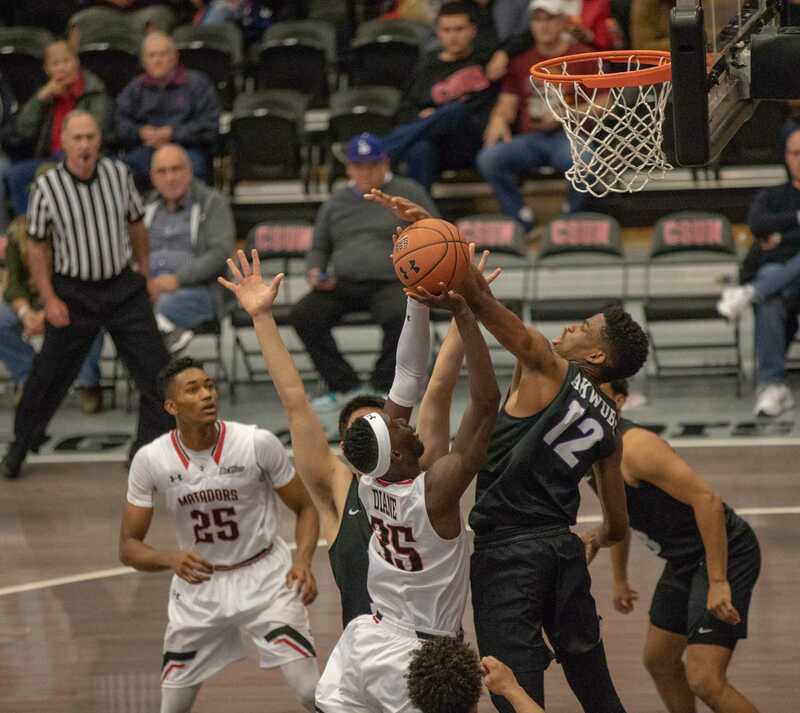 CSUN has now dropped two back-to-back home losses at the Matadome after having not lost at home since April 2018, when they lost to UC Irvine. The Matadors will be at home for three of the next four games with non-conference matchups against Princeton, Cal Lutheran and Pepperdine. 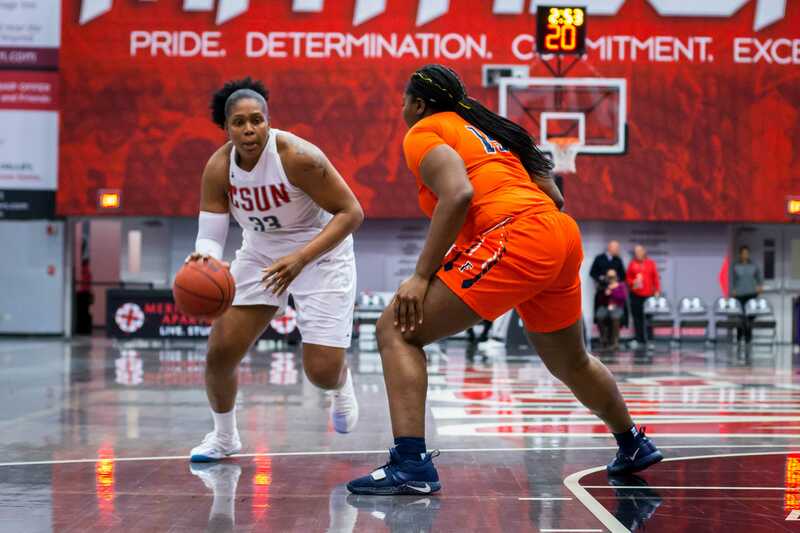 The Matadors will first travel to Malibu to take on Pepperdine on Wednesday, Jan. 30 at 7 p.m. They will then host Princeton on Friday, Feb. 1 at 7 p.m. at the Matadome to begin their three-game home stand.